Clamps & Gaskets: News Roundup for Weeks 46/47, 2015. The Thanksgiving holiday is third among U.S. holidays for 'craft' beer sales; Christmas, second; Independence Day, first. The U.S. National Oceanic and Atmospheric Administration forecasts that the upcoming El Niño could be the biggest in recorded history. What's old is new again: a brief history of "pale ’n hoppy" bitters in the U.K. Some of the best beers being made in Britain today belong to a style that has no name. They are the colour of pilsner, usually made with only pale malt, but they are not mere ‘golden ales’—‘golden’ is not, after all, a flavour. They have extravagant, upfront New World hopping suggesting tropical fruits and aromatic flowers but they are not U.S.-style India pale ales because their alcoholic strength is likely to be somewhere between 3-5%. Though this might sound like a description of U.S. session IPA, beers of this type have been around in the U.K. for more than 20 years. If they are given a name at all it is usually a variation on the simply descriptive ‘pale ’n hoppy. [...] These two distinct traditions—U.K. pale ‘n hoppy is traditional session bitter with a glamorous makeover, whereas American brews [session IPAs] are big beers reined in—have ended up in a remarkably similar place. —Via Jessica Boak and Ray Bailey, at All About Beer. Wine conglomerate, Constellation, of New York, purchases Ballast Point, a 'craft' brewery in San Diego, California, for one billion dollars. 'Craft' beer micro-canning pioneer Jamie Gordon has died, at age 56. U.S. Senators send a letter to U.S. Attorney General Loretta Lynch expressing small breweries' concern about Anheuser-Busch InBev's pending purchase of SABMiller. The Senators raise concerns that AB InBev may try to use the acquisition to increase its already dominant market position, possibly by constraining distribution channels in order to crowd out smaller beer companies. Some reports have already suggested that the company uses its large market share to put pressure on distributors to favor AB InBev products, which could potentially be deemed an exclusionary and illegal practice. —Via Senator Jeff Merkley (Democrat, Oregon). ISIS terrorists attack Paris, murdering 129 people. "BrewDog drinkers really are drinking the marketing first, the beer second." British beer historian Martyn Cornell reviews "Business for Punks," the just-published “how we succeeded and how you can too” guidebook from James Watt, the co-founder of Scottish 'craft' brewery, BrewDog. AB InBev's purchase of SABMiller is about the African and Asian beer markets. The American market is an afterthought. World War I ended on "the 11th hour of the 11th day of the 11th month," of 1918. In America the day is commemorated as Veterans Day. —Via U.S. Department of Veteran Affairs. The [U.S.] Brewers Association weighed in on the AB InBev purchase of SABMiller. The size and scope of the ABInBev business has many ramifications for the U.S. beer industry, even with the divestiture of the MillerCoors joint venture. 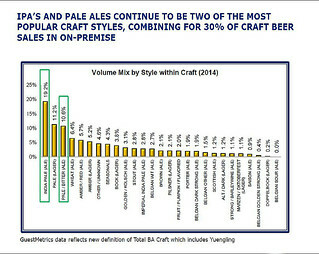 The most obvious is that ABInBev is still by far the largest brewer and beer distributor in the United States. It is vital for the continued success of small brewers that we have access to market with an independent and competitive middle distribution tier. [...] ABInBev’s new international footprint and scale give the company greater influence over commodities used in brewing and many other facets of the beer industry that could affect competition in the U.S. market. MolsonCoors appears to be the front-runner to acquire MillerCoors for purported $12 billion dollars, pending SABMiller's divestment of its 58% share. MolsonCoors currently holds the remaining 42% share. Beer educator, Bill Siebel, has died at age 69. Past CEO of historic American brewing School, Siebel Institute of Technology. British Pathé was a producer of newsreels and documentaries from 1910 until 1970. In 2014, resuscitated as an archival company, Pathé placed its entire film library on YouTube. 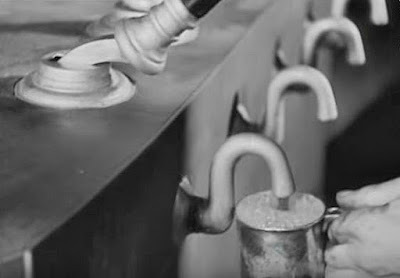 Here, from 1933: "Brewster's Magic," an instructional video on beer featuring some fantastic time-lapse views of hops, barleycorns, and yeast. Sterile hops, murdered barley, and budding yeast have all united to give us beer. Pictured, packed for moving: a library of books-on-beer, collected over nearly thirty years. I can't't bring myself to write "curated." 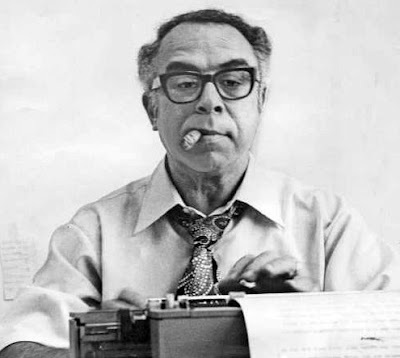 Art Buchwald was a political columnist and humorist of the 20th century. In the 1950s, while living in Paris, France, he wrote about his expat adventures in that city for the New York Herald Tribune. In 1953, he wrote a column 'explaining' Thanksgiving to the French: the Pilgrims (Pèlerins) and native Americans (les Peaux-Rouges) in the New World (le Nouveau Monde). For decades afterward, the Washington Post (for whom Buchwald would later write) would reprint the column on Thanksgiving Day (Le Jour de Merci Donnant). 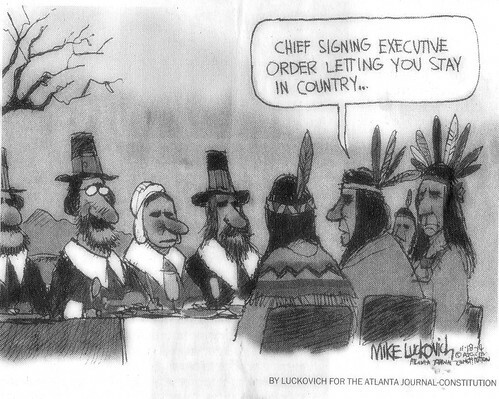 Considering recent events, I felt that reprinting it here today might be an appropriate thanks-giving to France, the first ally of the United States. And it's still worth a good chuckle. One of our most important holidays is Thanksgiving Day, known in France as le Jour de Merci Donnant. Le Jour de Merci Donnant was first started by a group of Pilgrims (Pèlerins) who fled from l'Angleterre before the McCarran Act to found a colony in the New World (le Nouveau Monde) where they could shoot Indians (les Peaux-Rouges) and eat turkey (dinde) to their heart's content. They landed at a place called Plymouth (now a famous voiture Américaine) in a wooden sailing ship called the Mayflower (or Fleur de Mai) in 1620. But while the Pèlerins were killing the dindes, the Peaux-Rouges were killing the Pèlerins, and there were several hard winters ahead for both of them. The only way the Peaux-Rouges helped the Pèlerins was when they taught them to grow corn (maïs).The reason they did this was because they liked corn with their Pèlerins. In 1623, after another harsh year, the Pèlerins' crops were so good that they decided to have a celebration and give thanks because more maïs was raised by the Pèlerins than Pèlerins were killed by Peaux-Rouges. Every year on the Jour de Merci Donnant, parents tell their children an amusing story about the first celebration. It concerns a brave capitaine named Miles Standish (known in France as Kilomètres Deboutish) and a young, shy lieutenant named Jean Alden. Both of them were in love with a flower of Plymouth called Priscilla Mullens (no translation). 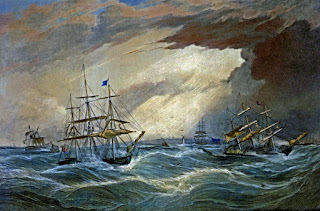 The vieux capitaine said to the jeune lieutenant: "Go to the damsel Priscilla (allez très vite chez Priscilla), the loveliest maiden of Plymouth (la plus jolie demoiselle de Plymouth). Say that a blunt old captain, a man not of words but of action (un vieux Fanfan la Tulipe), offers his hand and his heart, the hand and heart of a soldier. Not in these words, you know, but this, in short, is my meaning. "I am a maker of war (je suis un fabricant de la guerre) and not a maker of phrases. You, bred as a scholar (vous, qui êtes pain comme un étudiant), can say it in elegant language, such as you read in your books of the pleadings and wooings of lovers, such as you think best adapted to win the heart of the maiden." And so, on the fourth Thursday in November, American families sit down at a large table brimming with tasty dishes, and for the only time during the year eat better than the French do. The 2015 Tuesday-Before-Thanksgiving edition of #VeggieDag Thursday. Here it is: this year's Tuesday-before-Thanksgiving edition of VeggieDag Thursday. 1 large unwaxed orange: washed, do not peel. 1 large tart apple: washed, cored, and peeled. Chop in a food processor. Leave chunky; do NOT over-pulse. Cover and let sit a few hours or overnight in the refrigerator. Food 52 suggests cooking with cider. Because it shares so many characteristics with wine—from its bright fruitiness and slight sweetness to its balance of tannins and acidity—it follows that cider would make an excellent cooking liquid, and it does, in just about every application you can think of. At Global Vegan Kitchen, Robin Robertson proffers recipes for a complete Vegan Thanksgiving, with beautiful photos. Joe Yonan, food editor of the Washington Post, shares his "Vegetarian dishes for a Thanksgiving table that welcomes everyone." From Doron Petersan at Sticky Fingers Sweets & Eats in Washington, D.C.: Vegan Bourbon Pecan Pie (as excerpted by the Washington Post from Petersan's book: Sticky Fingers' Vegan Sweets). Vegetarian and vegan Thanksgiving meals, via Lindsay S. Nixon, aka The Happy Herbivore, at Forks Over Knives and at her own eponymous blog. Chestnut stuffing, from Martha Stewart. Vegan, if you sub for the butter and chicken stock. because it pairs well with sour brown ales that also happen to go well with other Thanksgiving favorites. Substitute 2 cups corn kernels, oven roasted for 15 minutes, for the corn on the cob, if out of season. Isa Chandra Moskowitz at Post Punk Kitchen has the recipe for a vegan Thanksgiving centerpiece: Seitan Roast Stuffed With Shiitakes And Leeks. Serve that with my Stout Mushroom Gravy. * I've used Peg Leg Stout from Heavy Seas Beer and Storm King from Victory Brewing. The hoppiness of the latter added another layer of piquancy. In either case, only six ounces are needed, leaving the chef six ounces for personal refreshment. If you're vegan, you would want to avoid Guinness which uses fish-derived isinglass for clarification, even though the brewery has announced its intention to change that procedure. ** Soy sauce and Marmite already contain hefty amounts of sodium —as does commercial vegetable stock— so no additional salt needed. It always begins with the onions and garlic. Chop, and then, in a large pan, sautée the garlic in extra virgin olive oil over medium heat for a minute. Add onions and sautée until soft and translucent. Add chopped cremini mushrooms and fresh sage. In a separate bowl, whisk powdered kudzu into the stout. Add to pan with Marmite, soy sauce, nutritional yeast, and vegetable stock. Fold all together. Bring to boil. Reduce heat and simmer for 15 minutes. Remove 3/4 of gravy. Process in blender or processor until 'creamy.' Return to pan. Gently stir together, and serve. Should it be wine or beer with the Thanksgiving trough? The former, says Chain Bridge Cellars, a northern Virginia wine shop. The latter, say I. This Thanksgiving, Americans are expected to consume forty-nine million turkeys. Maybe just this once, this Thanksgiving 2015, at least consider this proposition: kill the vegetables but spare the animals. In the 21st century, must we slaughter God's creatures not for need but by choice? Or each other? Enough pontificating. Enjoy a safe and happy Thanksgiving. Pic(k) of the Week: Oliver's conditioned casks. Today: a photo only a cask-ale partisan could love. These two firkins (10.8 gallon casks) definitely have seen some use over the years: beat up on the outside but pristine clean on the inside. There are many 'rock stars' in 'craft' beer: some deservedly so, some by acolyte acclaim, some self-anointed. The number of real stars is far fewer. Despite the Luddite choir currently ascendant in some sections of the 'craft' beer industry, preaching creativity over 'rules', it's the beer educators who are indeed among those true stars, whom we should be celebrating for their essential work in training us, promulgating the zymurgy and technology that advances good beer. Michael Lewis, professor emeritus of brewing science: the University of California, Davis. Steve Parkes, brewmaster; owner and lead instructor: American Brewers Guild. For many years, Bill Siebel was chairman and C.E.O. of the Siebel Institute of Technology, in Chicago, Illinois, the oldest brewing school in the Americas. His great-grandfather, a German immigrant, founded the school in 1872. 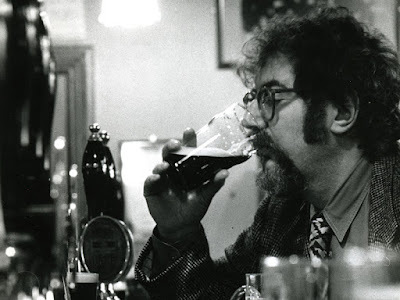 As an educator and administrator at the school, Bill Siebel wielded influence upon several generations of American-trained brewers: microbrewers (such as this blogger), 'craft' brewers, large mainstream brewery brewers, and just plain ol' American brewers. The school's reputation was global; many foreign breweries sent their employees to be zymurgically educated. I remember well my first day there, in the early 1990s. Bill greeted me. I addressed him as "Mr. Siebel." He corrected me, "It's just Bill." My career path changed that day, and it's been beer ever since. Bill died earlier this month. R.I.P., (and I will say it incorrectly one more time) Mr. Siebel. Thank you for all you have done for the advancement of good beer, in America and globally. Your influence upon us: that is your living legacy. Bill Siebel, leader of historic Chicago beer brewing school, dies at 69. 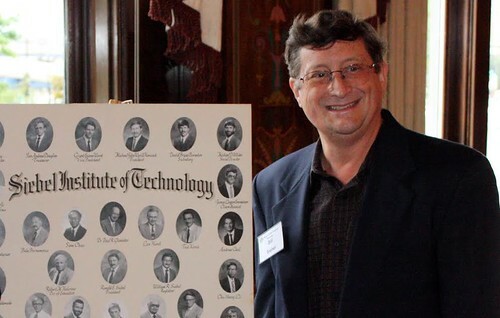 Bill Siebel was the fourth generation of his family to head [the Siebel Institute of Technology], a Chicago beer-brewing school that has produced tens of thousands of alums with surnames such as Busch, Coors, Pabst, Stroh, and Floyd — as in 3 Floyds Brewing Company. It wouldn’t be exaggerating to call him a member of the “First Family” of beer education in the U.S., said Charlie Papazian, president and founder of Denver’s Great American Beer Festival, the nation’s largest. Mr. Siebel, who had esophageal cancer, died on November 8, 2015, at Northwestern Memorial Hospital [in Chicago, Illinois]. He was 69. Bill Siebel was chairman and CEO of the Siebel Institute of Technology, established in Chicago in 1872 by his great-grandfather, Dusseldorf-born immigrant John Ewald Siebel. It bills itself as the oldest brewing school in the Americas. “There is one, based in Germany, established before us,” said Keith Lemcke, vice president of the Institute, at 900 N. Branch Street. “It’s been a continuous run,” Lemcke said, “except for this inconvenient time we call ‘Prohibition.’ ” During Prohibition, it kept going as a school of baking — which, like brewing, uses yeast. Siebel Institute students, Lemcke said, have included August Busch III of Anheuser-Busch; John Mallett of Bell’s Brewery in Kalamazoo; the father and grandfather of Samuel Adams brewer Jim Koch; and Greg Hall, a brewmaster at Goose Island Beer Company and son of Goose Island founder John Hall. Bill Siebel and his brother, Ron, grew up near Devon and Caldwell in Edgebrook, and at the Southwest edge of the Evanston Golf Club in Skokie, where one of the tees was behind their home. A highlight of their youth was spending summers with their mother, Mary, at Paradise Ranch near Colorado Springs, while their father, Raymond, commuted back and forth from the Siebel Institute in Chicago. The Siebel boys became accomplished horseback riders. They attended grade school at the old Bishop Quarter Military Academy in Oak Park. Bill Siebel graduated from Florida’s Admiral Farragut Academy and the University of Miami. He served in the Navy, rising to lieutenant, before returning to Chicago — and the family beer school — in 1971, said his wife, Barbara Wright Siebel. Both brothers attended the Siebel Institute, where a variety of classes, diplomas and certificates focus on yeast, malt, fermentation, biological science, quality control, engineering and packaging. “One of my classmates in 1967 was August Pabst, and August Busch III was a few years before,” Ron Siebel said. For decades, the school and laboratory were located at 4055 W. Peterson, where the Siebels had a brewing library and a second-floor bierstube with heirloom steins. After their father and uncle sold the business, “Bill and I were successful in getting it back,” Ron Siebel said. “We got it back in the family hands, and it stayed there until [Bill] retired and wanted to liquidate his holdings in the institute.” Today, the school is owned by Lallemand, a Canadian yeast company. Bill Siebel retired in 2000, Lemcke said. He restored himself and reveled in nature, hiking, and watching birds and animals. For their honeymoon, Bill and Barbara Siebel canoed nine days on the U.S.-Canadian Boundary Waters. And for 20 years, they canoed in Ely, Minnesota, where he enjoyed spotting bear and moose. He also loved reading Dostoevsky and Tolstoy. A memorial service is planned from 2 p.m. to 5 p.m. on November 22, 2015, at the Siebel Institute of Technology, 900 N. Branch Street [Chicago, Illinois]. 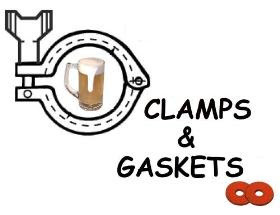 Clamps & Gaskets: News Roundup for Weeks 44/45, 2015. In a trend of the last few years, breweries from the U.S. west have opened second brewing facilities on the east coast. But not vice versa. Until now. Sweetwater Brewing of Atlanta, Georgia, has announced its intention to open a brewery in California, in 2017. The sugar industry has sued high fructose corn syrup producers in federal court for falsely claiming that their product is just as healthful as sugar. Corn syrup producers have countered suedhit back, arguing that the sugar industry has long engaged in a campaign of misinformation. Big Sugar is seeking $1.5 billion in damages. Big Corn Syrup is seeking $530 million. Jurors will decide. Cité du Vin, a "modernistic museum of culture and civilization of wine around the world," to open in Bordeaux, France, in 2016. A timeline of the demise of Baltimore, Maryland's National Bohemian beer. There are only two major American can manufacturers. Are they cutting off supply to smaller 'craft' breweries? The idea of moderation in brewing is not the idea of capitulation, of surrender, of turning your back on the way forward. It's a way of seeking silence in between the gaps that modern life manages to create - it's a polite cough, a feather stroke on the inner thigh, a reflective passage from an étude by Chopin, the intermission between nothing and I love you. And sometimes we need beers like that in the way we also need beers that cackle and burn like a martyr's bonfire or ululate across the night air like a trident in its tracks or even leave us unsure of what we're tasting. Like an Earth on its axis beer also needs balance. —Via Adrian Tierney-Jones, at Called to the Bar. The English malting barley that wouldn't die. The fifty-year history of Maris Otter. "Hops can take 10 to 12 years to develop before they’re marketed to breweries." Green Flash brewmaster Chuck Silva and Alpine Beer Company Brewmaster Pat McIlhenney examine the hop harvest in the Pacific Northwest. —Via Nicholas Gingold, at All About Beer. Federal judge throws out lawsuit which alleged fraud by MillerCoors for stating Blue Moon beer is "artfully crafted." There is "no case supporting the proposition that the price of a product can constitute a representation or statement about the product." It has been twenty-five years since the Discovery Channel first aired The Beer Hunter." A documentary on beer, produced and narrated by British beer writer Michael Jackson, it was "ahead of its time." Scandal! The Archbishop of Cologne, Germany, admits that he prefers Dusseldorf's rival Altbier to Cologne's native Kölsch ales. The seven denominators of 'cult' California wines. And why their producers shouldn't bemoan the wines described as such. Washington, D.C. radio legend, Ed Walker, dies at 83. A theory as to why brewery 'tied house' pubs existed to such a large extent in England, but not so much elsewhere. —Via Ron Pattinson, at Shut Up About Barclay Perkins. In 2011, 2% of U.S. 'craft' beer was sold in cans. In 2014: 10%. —Via Bart Watson, economist for Brewers Association. What is the number one 'craft' beer style on tap in the U.S.? It's no surprise that it's IPA (India Pale Ale), with a 19.2% share. Pale Lager is second; Pale Ale is third. By December 2016, the FDA will require all chain-restaurants (with twenty or more locations) to display on their menus caloric and nutritional information for any beers they serve. Breweries will be expected to supply this information. The cost of analysis, etc., could be a major problem for mid-size and small breweries. In 1992, early 'craft' brewery owner Bert Grant put nutritional information on the label of his Grant's Scottish Ale. At that time, the U.S. government told him to cease and desist. Yours For Good Fermentables was recently press'd into service; mentioned, that is, photographically (with credit) in a broadcast story on beer-with-cheese pairing. 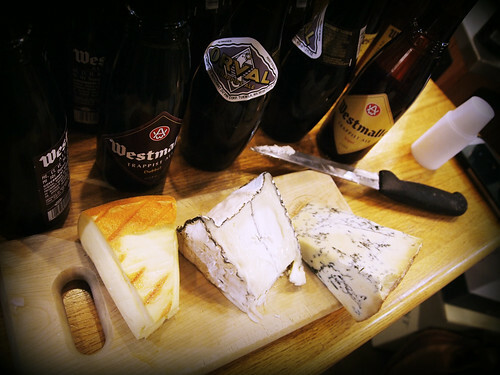 Beer-cookbook writer Lucy Saunders and cheese-writer Jeanette Hurt discussed the topic on Lake Effect, a "magazine program" of Milwaukee Public Radio station, WUWM 89.7, on 4 November 2015. 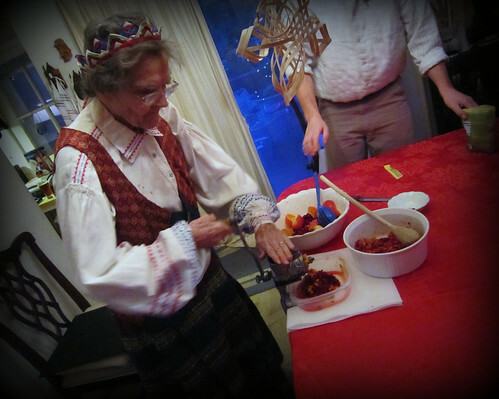 "Beer and cheese are fermented friends," Lucy Saunders said "And we are fermented friends, too," laughed Jeanette Hurt. "There's nothing against wine and cheese pairings, said Saunders, "but one of the most interesting things is that beer and cheese have more of a similar profile of aromatic compounds." "When I'm looking at wine and food pairings, and beer and food pairings (and beverage and food pairings, in general)," Hurt said. "I'm looking for that perfect marriage. By themselves they taste great, but together, they taste even better." "Beer and cheese complement each other very well," she continued. "Beer is liquid bread, and milk is hardened milk, the makings of a sandwich in your mouth." "Beer is bubbly," said Saunders. "The effervescence of the bubbles cleanses the palate of the cloying creaminess of the cheese." 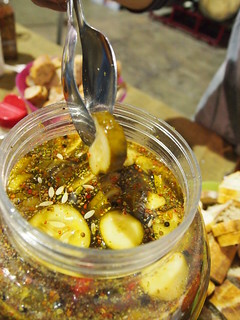 "Foods and accouterments can bridge the cheese and the beer (or the cheese and the wine) to bring them together," Hurt said. "One of the bridges we're using is honey, which is an amazing accessory for cheese. Just a little bit drizzled is just so, so good, and it goes so well with the honey aspect of a beer." "Also dried fruits," added Saunders, "and some of the spices like cocao nibs, and a dusting of pepper can really elevate the tastes of a cheddar or a creamy, really soft cheese." And then there was this wonderful exchange on the spice of beer, the hops. Hurt observed that, "The fragrance of the hops tends to be a little resinous, piney, and that citrusy note elevates the butterfat in cheese, and you get a really nice harmony going on with that." To which Saunders replied, ""With the hops, you have the aroma and the aftereffect. When you swallow, which is really important in beer, you get that retro-nasal reverb. It's really delightful when you have a beer and cheese pairing, because there's a before, during, and after." Retro-nasal reverb, indeed! Listen to Hurt and Saunders' entire discussion: here. 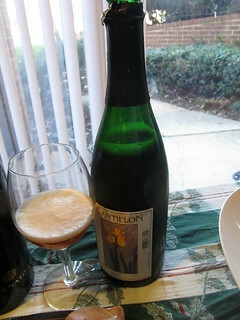 A beer sampling Balducci's Food Market (in McLean, Virginia, 9 April 2015), in which I served three Belgian Trappist ales (brewed by monks) with three cheeses. Served with Humboldt Fog goat cheese (California). Served with Chimay Grand Cru washed rind cheese (Belgium). 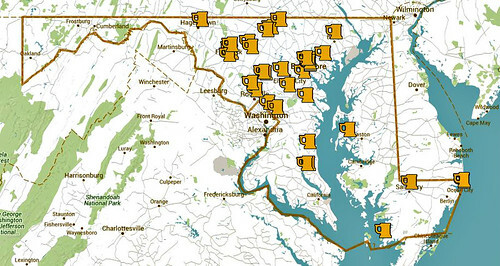 The best beers in Maryland, 2015 edition. The Brewers Association of Maryland (BAM) recently hosted the 10th Annual Maryland Craft Beer Competition to determine the best beer—by category—crafted by Maryland breweries. The Brewers Association of Maryland (BAM) announced the results in late September. Better late than never, I've re-posted them here, today. The Best of Show, overall winner, is yet to be announced. In the past, the competition has been known as the Maryland Governor's Cup, and more recently, as the Maryland Comptroller's Cup. Congratulations to the winners, and good luck to all in the next round, as Maryland's best of the best is announced. Peabody Heights Brewery Old Oriole Park Bohemian Lager was named Maryland’s top beer at the 2015 Maryland Craft Beer Competition. 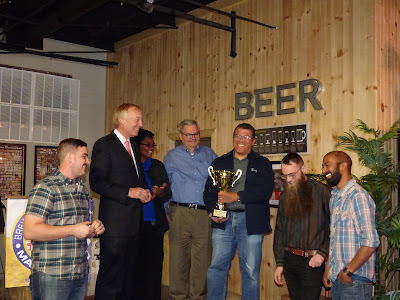 Other overall winners included Evolution Craft Brewery’s Lot #6 Double IPA which placed 2nd overall, RavenBeer’s The Cask which placed 3rd overall, and Franklin's Brewery was awarded Honorable Mention for their Bombshell Blonde. Maryland Comptroller Peter Franchot (second from left) awards the Maryland Craft Beer Competition Cup to Ernesto Igot, brewmaster for Peabody Heights. Photo courtesy Maryland Brewers Association. Tied for most medals won were Franklin's and Gordon Biersch (Rockville location) with seven apiece (although three of the latter's were honorable mentions). Flying Dog was second with five medals overall; Heavy Seas Beer, third, with four. For most gold medals won, Franklin's and Heavy Seas Beer were tied with three apiece. Union Craft had two. Thirty-four of the fifty-one beers that won medals were pushed on to Best of Show. That's nearly two-thirds of the medalists, somewhat akin to the "every kid in the sport wins an award." It might be less unwieldy and less silly if the number were capped at, say, ten percent. If one were keeping score, Franklin's had the most beers pushed forward, seven. Next was Heavy Seas Beer with four, and both Barley & Hops and Flying Dog with three. As mentioned above, an overall winner has yet to be announced. Jailbreak Brewing (in Laurel) was the only Maryland brewery to win a medal at this year's Great American Beer Festival —the nation's commonly accepted premier beer festival and competition. 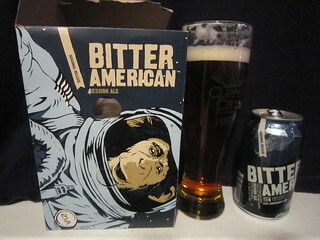 Its Van Dammit won top honors among all American beers entered in the Belgian-Style Strong Specialty Ale category. But Jailbreak won nothing at all in the Maryland competition. Did Jailbreak enter the Maryland Craft Beer Competition? I would assume so, but I don't know. Its exclusion speaks to the subjective and sometimes arbitrary nature of beer competitions, regardless of Beer Judge Certification Program (BJCP) certification and strictures. The map above, from BAM's website, shows forty-four breweries: that is, those forty-four Maryland breweries that are, as of today, members of the Association. According to the Comptroller of Maryland, however, there are fifty-four breweries in the state, that is, have a license to brew. "How pot and hippie beer explain the future of the American economy" was the headline of a recent Washington Post Wonkblog column. I've heard of 'craft' beer, microbrews, boutique beers, and fancy beers, but never have I heard of "hippie beer." Lumberjack-bearded millennials populate the small-brewery scene today; hippies are long gone, since, I believe, the 1960s. 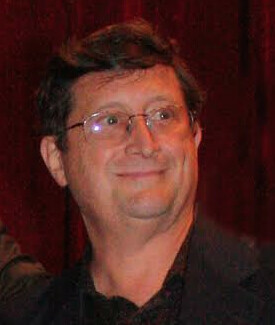 The author, a Jim Tankersley, attempted to compare and contrast the 'craft' beer industry with the newly legal marijuana industry. The nonsensical term, "hippie beers," not withstanding. Breweries and dispensaries offer lessons for how policymakers might nurture a small-business comeback in the United States. But they offer very different lessons, one focused on government intervention, the other on reducing hurdles for entrepreneurs to enter a market — and their ultimate lesson could prove to be, the big guys tend to win in the end. Some beer bloggers, though, have begun to worry that lax government oversight could endanger start-up brewers, whom the large players are targeting on multiple fronts. Who are those beer bloggers and why are their opinions valid? To me, it looks as if Mr. Tankersley just inserted his opinion as unsubstantiated fact. Talk to brewers, restaurateurs, and beer shop owners, and, yes, beer-bloggers. Many would disagree with his low-barrier thesis. Ask them about the three tier system. Ask them about excise taxes. Ask them about licensing from the TTB, OSHA, and FDA, and about local health and zoning regulations. The nation has long had a start-up problem. The rate at which new businesses are formed has fallen steadily since 1984, a trend that accelerated during and after the Great Recession, according to research by University of Maryland economist John Haltiwanger and several co-authors. Since the recession ended, more businesses have failed every year than have sprung to life. — Maybe true, but it does not necessarily follow that many start-ups haven't survived, only that fewer have survived than have been shuttered. Where, and what, are those numbers? And, in those start-ups that did fail, were quality, know-how, financing, and acumen absent or present? The number of breweries and brew pubs in Oregon has roughly quadrupled since 2001, to more than 200 today. Since the end of the recession, the state’s total beer production for consumption by Oregonians has grown from about 30,000 barrels a year to nearly 50,000. All but a few drops of that increase has come from start-up brewers, according to state statistics. From that, it would appear as if start-ups are successful, at least, in Oregon, at least those making beer. And we know that to be true, nationwide. The [U.S.] Brewers Association has reported that there are now more than 4,000 breweries in the country, with double-digit sales growth over the last few years. Mr. Tankersley does seem to find two reasons why beer start-ups might be succeeding. Little acumen, skill, or education being required is one. It doesn’t cost much to learn to brew — just $100 or so for a starter kit and a handbook, more for hops and grains when you begin to experiment [...] It also doesn’t cost much to start a brewery, relatively speaking. This seems a bit insulting to those who do study their craft, and is just plain wrong. What of the ability to brew WELL? There is good beer out there, but there also is a lot of bad beer out there (not meaning Oregon necessarily, but in general), on supermarket shelves and in taprooms. I once worked in a brewpub where the chef informed the brewers that "Any monkey can brew." It should go without saying that training, scientific and technological knowledge, and intelligence are vital ingredients in beer-making and beer-business-running as in any skilled endeavor. To say otherwise is to insult the monkey. Mr. Tankersley's other premise is that government regulations on brewing are minimal, encouraging start-ups. Maybe they are such, but only as opposed to those imposed on the legal marijuana industry, of which I know little. I know much more about the legal beer industry; I'll stipulate that it is rife with many governmental regulations. This article comes off as a forced analogy. He mentions that only the state of California is investigating potential anti-competitive implications of Budweiser's parent company, Anhuser-Busch InBev, purchasing beer wholesalers. California officials may be, but the Feds are as well. Do 'craft' breweries really wish to dismantle the entire three-tier system and then compete against tied-house Budweiser bars and restaurants? Mr. Tankersley does make some interesting points. A bit more research on his part, and a few more conclusions from facts, would have made for better points. Not a beer today, but a tree. 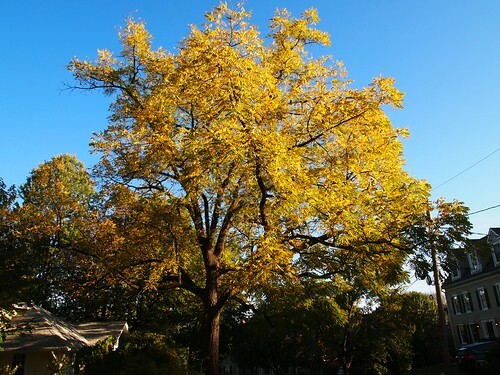 A walnut tree, resplendent in golden finery. Indeed, all flora in northern Virginia seems particularly colorful this autumn. Or is it because I'm paying closer attention this year? 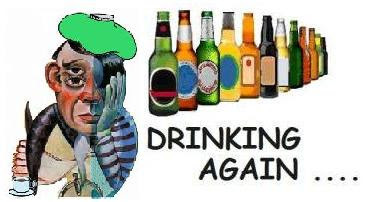 Drinking, again! 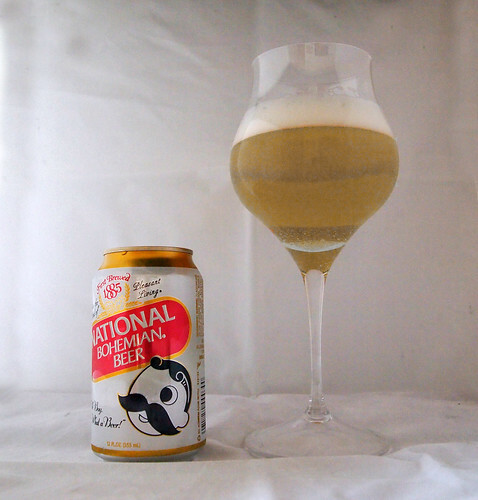 Natty Boh: a review and quick history. National Bohemian — Natty Boh— is no longer a Baltimore, Maryland-brewed beer; and it hasn't been so for decades. Miller/Coors brews it now in Eden, North Carolina, under a contract agreement for the Pabst Brewing Company, which itself owns no actual brewing facilities. Furthermore, MillerCoors is set to close the Eden plant in 2016, and who know what will happen to the beer after the pending sale of SABMiller to Anheuser-Busch InBev. These days, there’s little that’s authentically Maryland about Natty Boh, a beer brewed in North Carolina under contract to a multinational corporation based in Los Angeles with a Texas post office box as its address. It's been thirty-seven years (1978) since all production of National Bohemian was moved from the City of Baltimore, Maryland (in the Highlandtown district, overlooking the Baltimore harbor), to Halethorpe, Maryland (a suburb to the southwest of the city). It's been twenty years (1996) since all production of Natty Boh was moved from Maryland, elsewhere. It's been ten years (October, 2006), since Natty Boh's final Maryland home, the Carling-National Brewery building (by then, home to Washington Flour), was razed to the ground. In 1961, Carling Brewing Company (a division of Carling-O'Keefe of Canada) built a new brewery in Halethorpe, Maryland. Annual capacity was about 1 million barrels. In 1974, Carling bought the National Brewing Company, and rechristened the company Carling-National Breweries. It closed National's Highlandtown brewery (in Baltimore, at Dillon and Conkling Streets) soon afterward and moved all of the production [including National Bohemian, i.e., Natty Boh] to the newer Halethorpe facility. Carling-O'Keefe sold its U.S. subsidiary to G. Heileman in the late 1970s. Rather than investing in modernization, Heilemann chose to jury-rig the Halethorpe brewery's large kettle, by then in need of major repairs or replacement, by welding-on raised sides. Production capability rose to close to 2 million barrels per year. The efforts proved insufficient. Stroh's bought G. Heileman in 1996, and closed the Halethorpe brewery shortly thereafter. Eighty or so fermenters were installed outside (!) the brewery building in the late 1970s, looking like high-tech missile silos. Each standing nearly four-stories tall, they were state of the art at the time. Their large capacity and their exposure to direct sunlight and the outdoor elements demanded creative solutions for refrigeration, insulation, and convection control. In the summer of 1998, they were laid on their sides in the parking lot behind the brewery and sold as scrap. The brewhouse vessels were still visible from the Baltimore Beltway, I-695, as late as 2005, unused by the last tenant, Washington Flour. When first fabricated, the kettle had a capacity of 610 barrels (almost 19,000 gallons or 8,405 cases) per brew. In October 2005, the building was razed. But now? Oh, what Pabst/MillerCoors has done to the beer, ma. I took one for the home team, and drank a 2015 Natty Boh. The beer smelled of chicken stock, cabbage, and cut grass. Look up that Google map again. Scroll south-west a quarter-mile or so along Hollins Ferry Road. What will you see? A red block captioned: Heavy Seas Beer. That 'craft' brewery opened in December 1995, while Natty Boh was an erstwhile neighbor, its sweet aroma of corn cooking redolent along the highway. Today, in 2015, there is no more National Brewery, decades gone. Next month, in early December, however, the Heavy Seas brewery will be still be alive and brewing, celebrating its 20th anniversary. Circle of life? Circle of beer. Clamps & Gaskets: News Roundup for Weeks 42/43, 2015. San Diego, California, 'craft' brewery, Ballast Point, to sell public stock. What could be the danger in that? Historian Maureen Ogle to update her 2006 history of beer in America, Ambitious Brew. To publish a new chapter as e-book esay, in October 2016. In 1914, Washington, D.C. breweries produced 210,284 barrels of beer. In 2014: 20,660 barrels. But that's up from zero in 1957. 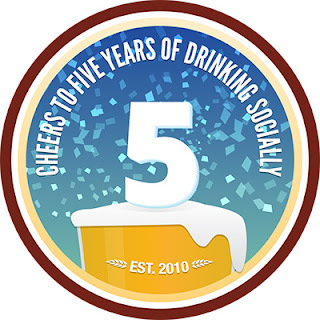 UnTappd, a social-networking app and website at which beer drinkers post their reviews, is five years old. And that is its spelling. Although it acknowledges no culpability, AB-InBev loses a $28M class-action suit over labeling Beck's beer sold in the U.S. as being brewed in Germany. It is not. The conglomerate brews that Beck's in St. Louis, Missouri, USA, and will indicate so on the beer's bottle label as part of the settlement. One hundred years after the Robert Portner/Tivoli Brewery (in 1916, the largest brewery in the U.S. South) closed in Alexandria, Virginia, due to Prohibition, the Portner Brewhouse — owned by two great-granddaughters of Robert Portner— is scheduled to open in Alexandria, in summer 2016. Research published in 2011 suggested that Saccharomyces eubayanus —one-half of lager yeast's pair of parents— had originated in Patagonia (at the southern tip of South America). But left unanswered was how that yeast was able to get to Bavaria before Europeans began traveling to the Americas. Research in 2014 may have provided an answer: maybe the initial cross-hybridization came earlier, not from South America, but from Asia. Researchers have discovered S. eubayanus yeast on the Tibetan Plateau which shows a closer genetic match to modern lager yeast than that in the Patagonian forests. The tragic story of the Great London Beer Flood of 17 October 1814. —Via British beer historian, Martyn Cornell, at Zythophile. "What you do is make beer. Some of you do it very well. But none of you are revolutionaries. You are brewers." A definition of 'craft' beer. 'Selling in' rather than 'selling out.' Seattle 'craft' and imported beer pioneer, Charles Finkel, sells stock in his Pike Place Brewing back to key employees. What President Jimmy Carter did on 14 October 1978 that would change homebrewing in America, and eventually 'craft' beer. Three analyses of Anheuser-Busch InBev's proposed purchase of SABMiller. Nate Micklos — who was the brand manager for Pacifico during the Anheuser-Busch InBev purchase of Grupo Modelo in 2014— examines the deal three ways: portfolio, distribution, impact upon the drinker. The biggest loser from ABIB-SABMiller merger may be the Brewers Association. Not craft beer. [...] Having spent thirty-plus years teaching entrepreneurs how to start and succeed as a brewer, the Brewers Association now must watch as many of its own decamp craft in favor of deep-pocketed investors with better access to distribution. I’m asking you to simply remove all the corporate beers, the mass-produced, cynical, watery pablum beers from foreign conglomerates, from your worldview. Ignore the entire end of your grocery store cooler that’s devoted to the idea that we’re all the same and that we value repetition and sameness over choices and variety. —Via Steve Body, at A Pour Fool. Will Oregon's Deschutes Brewing pick Roanoke, Virginia, for the East Coast location of its new brewing plant? Researchers find white wine higher in antioxidants than red wine, and beneficial in weight loss and anti-aging effects. Anheuser-Busch InBev, the world's largest brewing company (at 350,241,009 barrels annual production, 21% of total world volume) has become even larger, purchasing number two SABMiller (at 160,037,133 barrels, 9.6%) for $104 billion dollars. Pending details to be worked out, a vote by stockholders, and governmental antitrust hurdles to cleared. Organizers of the greater Baltimore, Maryland, metropolitan area's annual Baltimore Beer Week celebration create the Baltimore Beer Legends Hall of Fame. Inductees to be added every year in October. The myth of the IPA shipwreck off the coast of Liverpool may be true after all. But in 1839, not a decade earlier as had long mis-reported. Its impact upon the popularity of IPA remains in doubt. —Via Martyn Cornell, at Zythophile. Despite the beer-hegemony of Anheuser-Busch InBev and SABMiller, there are nations in the world where locally-produced beers outsell the conglomerates' brands. A 'craft' beer changing of the guard. Kurt Widmer, co-founder Widmer Brewing in 1984, to retire. Younger brother, Rob, to remain at Craft Brewers Alliance (founded in 2008 as merger between Widmer and Redhook). —Via Jay Brooks, at Brookston Beer Bulletin. 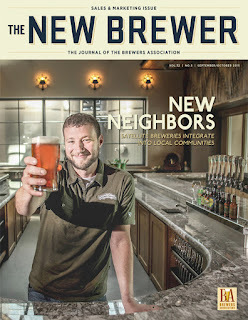 In the September/October 2015 sales and marketing issue of The New Brewer —the trade magazine of the (U.S.) Brewers Association— a piece on training wait-staff for brewery taprooms describes 'baby boomers' (Americans born during the demographic post–World War II population boom between the years 1946 and 1964) as ... "vintage customers." Really? Do they improve with age? How the western U.S. drought is affecting some California breweries. A health and safety report conducted in July 2015 by the National Science Foundation uncovered that the McMurdo Station and the South Pole Station both have a widespread alcohol problem. The report also found that researchers were brewing their own beer, which is against policy. A 'kraft' story that didn't make it from Facebook to blog. And other stories. A friend recently tweeted me that she was unable to access a story that I had linked on Twitter from its original spot on Facebook. That's right, she posts to Twitter, but doesn't Facebook. Strange new social-media world! Yours For Good Fermentables has its own Facebook page (of the same name). That isn't big news, but I care, because I maintain both. As it happens, I occasionally neglect the blog because of Facebook's quick-and-easy, brief-and-breezy posting (as if writing out three-hundred words at the blog had become a hardship). Last week, I wrote only once at the blog, but posted what amounted to twice a day at the Facebook (is 'the' correct?). "Whole grain corn, sugar, marshmallows (sugar, modified corn starch, corn syrup, dextrose, gelatin, red 40, yellows 5&6, blue 1, natural and artificial flavor), corn meal, canola and/or rice bran oil, corn syrup, corn starch, cocoa processed with alkali, modified corn starch, salt, tricalcium phosphate, caramel and beet juice concentrate for color, trisodium phosphate, natural and artificial flavor, red 40, yellow 5&6, blue 1, wheat flour, peanut flour, vitamin E (mixed tocopherols) and BHT added to preserve freshness." The ingredient list of a mainstream beer? No! Big breweries don't use those items in their beers (well, okay, maybe they do use some of them, such as gelatin, dextrose, corn syrup, caramel coloring, and natural and artificial flavoring). But a 'craft' brewery? It would never, ever, use such ingredients, would it? 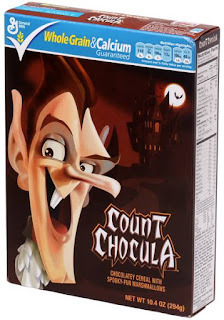 "Yeah, we added them to our beer," crowed the bartender at the taproom of a local 'craft' brewery, proudly describing to me how the brewery had tossed Count Chocula cereal into its cask ale. General Mills beer. Not 'Kraft' beer. No, thanks. The FDA to require chain-restaurants (with 20 or more locations) to display nutritional information for beer, wine, cider on their menus, by Dec. 1, 2016. Could be difficult for smaller breweries (wineries and cideries) to supply that information. In light of the FDA ruling, it's interesting to recall that, in 1992, 'craft' beer pioneer (and curmudgeon) Bert Grant did put nutritional information on the label of his Grant's Scottish Ale ... but, back then, the U.S. government told him to cease and desist. Balance and not balance in beer. —Adrian Tierney-Jones, at Called to the Bar. The number one 'craft' beer style on tap in the U.S.? No surprise: IPA (India Pale Ale), with a 19.2% share. Cask sales are growing in the U.K., but, in the U.S., we don't maintain those data. According to the UK Cask Report, cask sales grew 1.3% in 2014, outperforming pub keg and bottle sales growth by 4.5%. UK cask sales in 2014 accounted for 8.2% of the total beer market and 16.1% of all on-trade (restaurants, pubs). 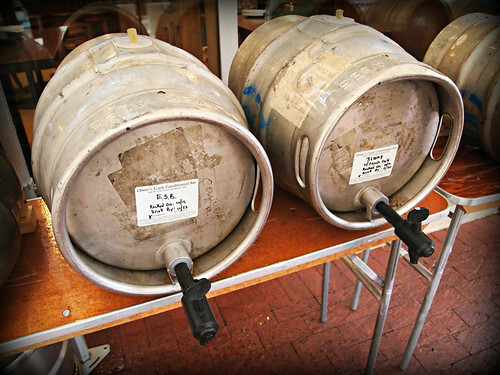 Cask is 58.6% of the "draught" market, while kegged beer is 41.4%. This represents a reversal of share since 2006, when these same figures were the other way round. In the U.S., the Brewers Association does not recognize cask ale as a category or production method, at least at its annual competition, the Great American Beer Festival. 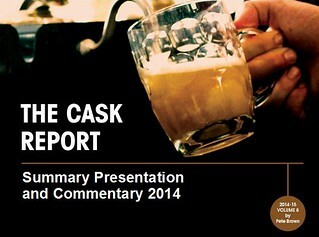 It publishes no accurate figures for U.S. cask-ale sales. Forget the controversy at the Vatican's Synod on the Family. The real scandal was that the Archbishop of Cologne admitted that he prefered Dusseldorf's rival Altbier to Cologne's native Kölsch. "Hops can take 10 to 12 years to develop before they’re marketed to breweries." Nicholas Gingold in All About Beer, a good long read, with lovely photos: "In Search of America's Best Hops." Ahead of its (and his) time: twenty-five years ago, the Discovery Channel aired Michael Jackson's "The Beer Hunter." “Why should wine drinkers be esteemed as nobs while beer drinkers are put down as slobs?,” the New York Times TV critic Walter Goodman asked his readers. —Tom Acitelli in All About Beer. 27 October 2015.